Grime rapper Cadet has died in a taxi crash on the way to a performance in Staffordshire. Police confirmed the 28-year-old from South London, whose real name is Blaine Johnson, was killed when the Toyota Prius he was travelling crashed into a van at around 1.30am yesterday. He was the cousin of rapper Casyo Johnson, also known as the Krept half of Krept & Konan, who shared a childhood photo of the pair together as he paid tribute. Krept said: “My life will never be the same again. I love you and will forever miss you. I cant believe it. I am heartbroken. Rest in peace cuz. Cadet last posted on Instagram three days before the smash, when he shared a picture of himself performing on stage, with the caption: “Home.”, pictured. Other rappers and music industry chiefs paid tribute to the rapper. Example said: “Was chatting to you only last week about how excited you were for some festivals this summer. So much positive energy. Smiling nonstop when I was with you, first time we met I felt as if I’d known you my whole life. Mad humble guy. RIP Cadet”. Keele University’s student union, where he was due to perform, tweeted: “We are deeply saddened to hear the tragic news that Cadet passed away en route to Keele in the early hours of this morning. 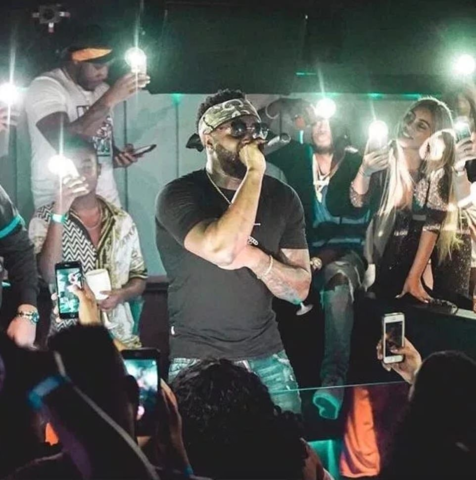 Cadet’s most recent single Advice, with Deno Driz, was released in October and peaked at number 27 in the charts. The rising star, who found success on YouTube, was due to perform at Wireless Festival 2019. Announcing his schedule, the festival said: “The proclaimed ‘Underrated Legend’, Cadet, stepped into the music scene during the second half of 2015 with a hard-hitting freestyle reaching over half a million views in just a few months. Wireless confirmed today that his slot will be kept on the schedule as a time to reflect on his memory. He supported Krept & Konan on their The Long Way Home tour, as well as touring with Bugzy Malone. A Staffordshire police spokesperson said: “At just before 1.30am on February 9, police were called to reports of a two-vehicle collision involving a silver Toyota Prius and a red Vauxhall Combo van on Main Road, Betley (A531).